I used to really LIKE Pinterest and now I just plain LOVE it. I used to think it was just about organizing pretty pictures. Now I know that I can bookmark articles to read later and promote my blog posts. I used to forget to go to the site and now I can’t stay away. The September Sapphire Even Day Blog Challenge is winding down. One more EVEN DAY post after this one. But I couldn’t close it out without doing a post dedicated to Pinterest. If you don’t know any pinaholics, it’s probably you! 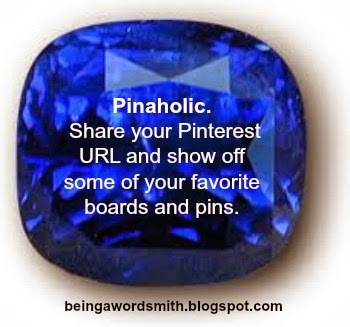 My Pinterest URL is http://www.pinterest.com/beingawordsmith/. Click to follow me. Allow me to show off some of my boards and pins. My Y&R board is a community board. If you would like to pin to it, please follow the board so I can send you an invite to do so. …and still are two of my faves. Are you very active with Pinterest? What have you found on Pinterest that was the most helpful to you? Do you use the Secret Board feature? Do you pin your posts to Pinterest? IKR! I think I showed the store front sign to almost anyone who would listen when I first saw it. Thanks, Chris. OMGOSH I laughed SO hard at BOTH of your first pins!! I totally pinned them! CLASSIC. I couldn't get enough of the Scandal pins so I just made a board. Yes, it is on come Thursday night! I love how Y&R is incorporating Mrs. Chancellor in the show on so many fronts. I think they had been preparing for it given how ill Jeanne Cooper was at the end. The week they did her memorial service on the show, I boohooed every day. Ms. Kimberly has a Scandal board. Lord. Have. Mercy. You're going to be in hog heaven come Thursday night, right? LOL. I am yet to get on board with Scandal. You know how I am with the television. #notime. But back to Pinterest… thanks for the hashtag idea and posting my blog posts on different boards. I am terrible at promoting my blog, but this is a doable method. Off to check out your Y & R board. I still cannot believe Jeannie Cooper is gone! What a woman! She will be greatly missed. A Scandal board? I'm not going in there. I'm not going in there. I am not going in there. LOL! Ok I might have to see whatcha got. I'm not real active on Pinterest. I did Weight Watchers for about 15 weeks or so and I was pretty active with it then, got some great recipes in return. I really only look at food on it. I like “gift ideas”, easy stuff to make to give to teachers and stuff that's doable. That's about it. I can't imagine what I'd put on a secret board. Hmmm. If I had one, it would probably be a shirtless man board – you know the ones who are RIPPED! Okay Kenya, get to work on that secret board. We'll be “encouraging you” from the sidelines! Oh wow, your Pinterest boards are no joke. You've got a whole Scandal board! I'm just starting to get into Pinterest. So far I've only organized pictures that relate to home decor. I haven't quite figured out the pinning posts thing yet. I LOVE that pin about the unattended children! LOL! If I saw a sign like that I would fall out. Too funny! When I first heard about how Pinterest can elevate businesses and drive more traffic to blogs, I didn't get it! It wasn't until I did a little research and realized that you can pin ANYTHING as long as you have an image to go with it. I put the bookmarklet on my browser toolbar and never looked back. I started pinning all my posts and giving them hashtags in the description box. It has been a big boost for my blog traffic. I also get to pin posts of other bloggers that I can reference later, i.e., blog tips and tools, post ideas, and blog hops. You should also create boards and pin things that you know your readers like. Check into it, girl! I sure will! Thanks for the tips! I think I started pinning all my posts after I saw you doing it. My Pinterest traffic has increased significantly in last couple of months. The key seems to be doing hashtags in the description of each one. And pinning posts on more than one board to give additional exposure. I need to tidy up a bit though. Have a good weekend, my friend! I'm not very active but I do pin my post. It really doesn't matter if I follow people bc I NEVER scroll my TL. I do follow you though. I'm not a Pinterest finatic. 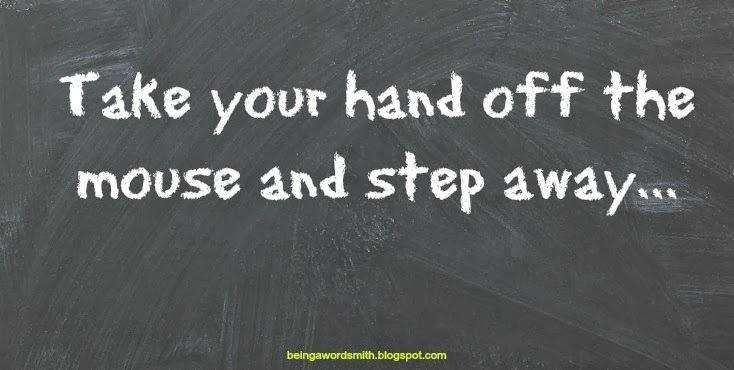 What I do LOVE about it, is I pin post that I want to put my hands on quickly, recipes, workouts, and other peoples Awareness posts or just post I thought were really good. On that note, it's shameful when people write really good post and don't include an image or make it too small, or worse…just plain ugly!